All designers in the Commons start at "designer level" 1, and can advance to level 4 by uploading designs, attending to quality control reports, and leaving feedback for other designers. Higher levels give designers additional privileges and benefits in the Commons. Ability to upload additional file types (such as PSDs and vectors). Ability to upload full kits and bundles. Ability to create and participate in Commons collabs. Ability to add and manage creative team members. There is also a small quiz that must be passed when advancing to the next level, just to make sure that you have a good understanding of how things work--but don't worry, the quizzes are pretty easy, and you can take them as many times as you need to! This is simply the total number of graphics that you have uploaded to the Commons at your current designer level. Each designer level has a minimum number of graphics that must be uploaded to the Commons before you can advance to the next level. Quality Rating is a number between 1 and 100 (higher is better) that gives a very rough idea of the "quality" or "polish" of a designer's uploads. It is based on quality control issues that members have reported. Each designer level has a minimum quality rating that you need in order to advance to the next level. The best way to improve your quality rating is to respond to quality control reports quickly, and to make sure you have a good understanding of common quality control problems and how to prevent them (see our help pages about quality control). It can also help to have someone else look over your graphics for common QC problems before you upload items to the Commons. Note: the "quality rating" and "interaction rating" numbers are private numbers, which are very rough, designed to help you see ways you might be able to improve as a designer. They should not be taken as precise numbers that show whether or not you are good at designing: there are a variety of reasons that these numbers might be lower than expected, even if you are a very good designer--so don't take them too seriously! Interaction Rating is a number between 1 and 100 (higher is better) that gives a very rough idea of how "enthusiastic" people are about a designer's uploads: it is based on things like views, downloads, likes, and social media sharing of a designer's items. Personal and unique items like cool illustrations and fancy word art will often get higher interaction ratings than more generic items like ribbons or buttons. QC giveback ratio is all about giving back to the community by leaving helpful feedback for other Commons designers. The number is based on the amount of quality control feedback you have left for others, divided by the number of graphics you have uploaded yourself. When leaving feedback for other commons designers, it is important that you inspect every item closely, and that you leave fair and honest feedback. The QC feedback that you leave for others will be reviewed any time you apply for a designer level promotion. Whether you are linking to Pixel Scrapper graphics in the "attribution" area of your uploads whenever you use Pixel Scrapper CU graphics to help make your designs (you should always provide attribution links when appropriate). The percentage of your uploads which are your own unique creations, and not too similar to other Pixel Scrapper graphics (initially, creating a lot of derivative items is fine, but higher level designers are expected to be creating more original, unique content). The quality and appropriateness of the QC reports you have left for other designers (so don't leave 'has problems' reports for items that don't have problems, or 'no problems' reports for items that do actually have problems). Welcome to the Commons! At this level you will be introduced to the Pixel Scrapper system, gaining the ability to upload a limited number of graphics to the Commons each week. 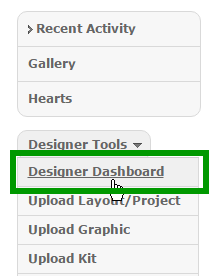 You will gain access to your designer dashboard to monitor your design statistics. Working with other Commons members you will improve your own graphics while helping others to improve as well. Upload limit: 10 graphics per week (max 5 per day). Tag limit: 3 tags per graphic. At this level your graphic upload limit will be raised. The ability to add additional file types to graphics (such as PSDs or vectors) will also be unlocked. You will also gain the ability to schedule your uploads to post to Pixel Scrapper at a later date. Upload limit: 25 graphics per week (max 10 per day). Tag limit: 4 tags per graphic. Unlocked: ability to add additional file types to graphics (such as PSDs or vectors). Unlocked: ability to schedule uploads to post at a later date/time. At this level your daily graphic upload limit will be removed, and you will be allowed to upload up to 100 graphics per week. You will also unlock the ability to upload kits and arrange these kits within bundles. You will also gain the ability to create and participate with other Commons designers on "collab" kits and bundles. Upload limit: 100 graphics per week (no daily limit). Tag limit: 5 tags per graphic. Unlocked: Ability to create and participate in collabs. You're practically an expert now! Your weekly upload limits for graphics, kits, and bundles will be raised to virtually unlimited. You will gain access to our bulk uploading tool to make uploading smoother and quicker. Also, you will be given the option to create and manage your own Creative Team (up to 5 people), giving them unlimited access to download your designs in exchange for creative work. Set the terms and requirements for your team yourself: we'll simply give you the ability to grant unlimited access to your designs to a select group. Tag limit: Unlimited tags per graphic. Unlocked: Ability to add and manage "creative team" members.